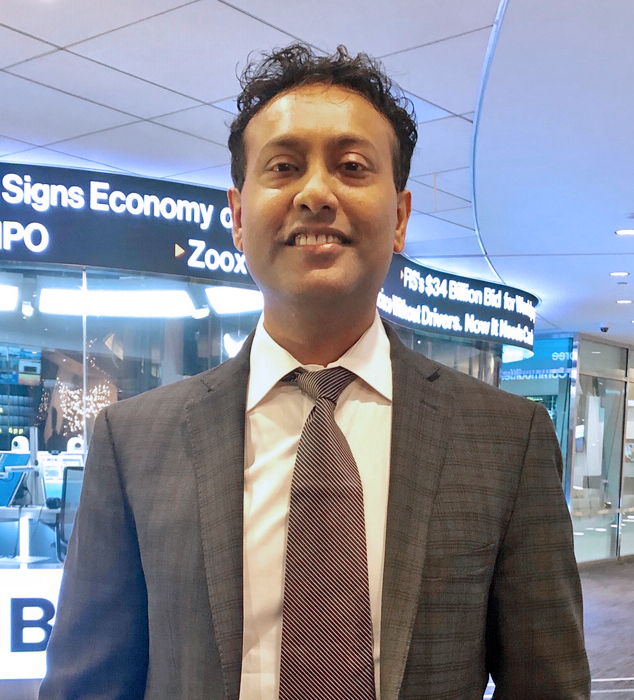 Haran Segram joined New York University Stern School of Business as a Visiting Assistant Professor of Finance in January 2009 and became a Clinical Assistant Professor of Finance in September 2016. He teaches courses in Investments and Valuation. Professor Segram’s research focuses on the application of advanced discrete choice and probability modeling in analysis and explanation of credit risk. He has been interviewed on various finance related topics by BBC, Bloomberg, China Global Television Network (CGTN), Channel News Asia, and Zacks. Professor Segram was a Visiting Assistant Professor of Finance at Columbia Business School, where he taught Valuation and Capital Markets & Investments. Professor Segram was also the Founder and CEO of Haran Business Valuation Advisors, LLC. This company provided full service Business Valuation Advisory for both Public and Private Companies. The firm worked closely with senior management of the clients focusing on valuation, mergers and acquisitions, strategic partnerships and potential sale of the business. He has previously worked as a business analyst for a global consulting group and as an investment analyst for a mutual fund. Professor Segram received his Ph.D. in Economics from the University of Sydney.